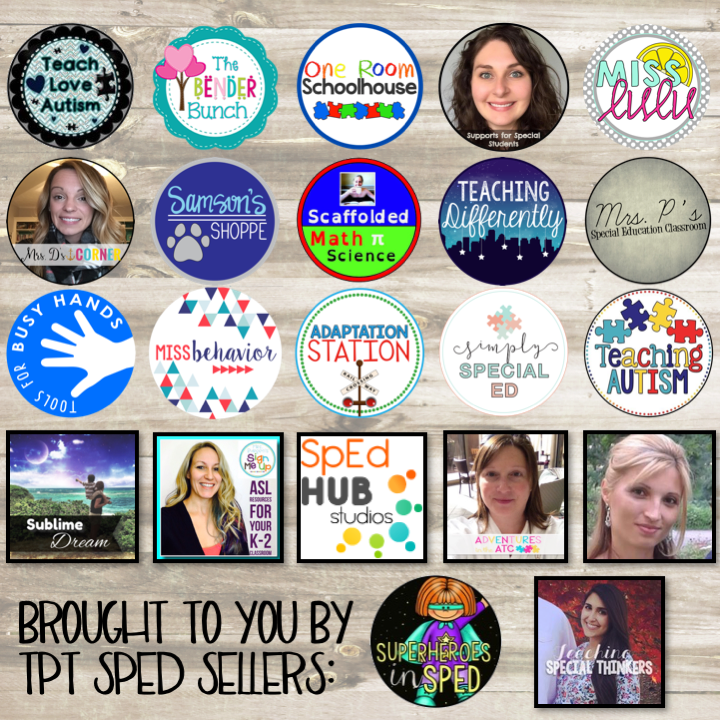 It's Teacher Appreciation week and to celebrate, I've teamed up with my favorite SPED sellers for this amazing giveaway! 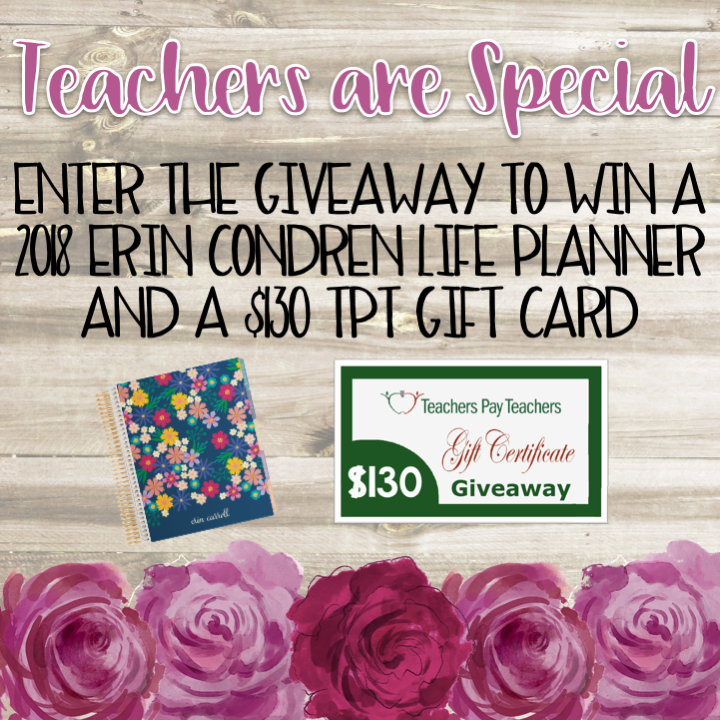 Enter to win a 2018 Eric Condren life planner AND a $130 Teachers Pay Teachers gift card (which you can use to splurge during the TpT sale May 9th-10th). 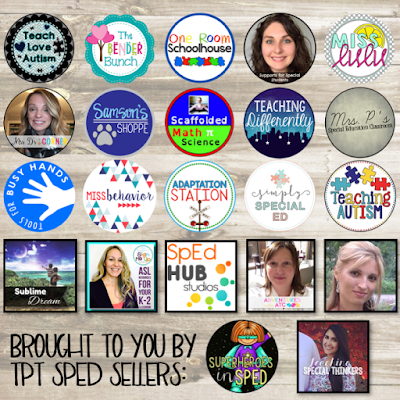 In addition, I'm rolling out product giveaways all day tomorrow, May 9th on my Facebook page, and giving away a $10 TpT giftcard on Instagram. Make sure you are following both so you don't miss out! Finally, just a reminder that you rock. Being a teacher is a hard job. Thank you for all that you do!